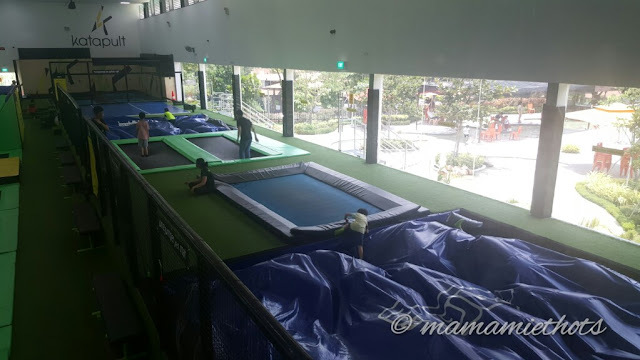 Hb has always been the spontaneous one that loves to bring the kids to try out new things. 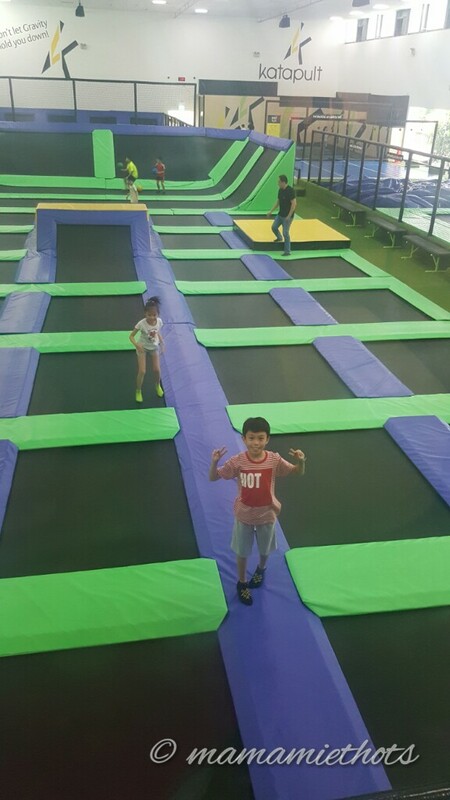 He has been wanting to bring the kids to try out trampoline quite some time back but the plan has been put on hold due to his hectic working schedule. 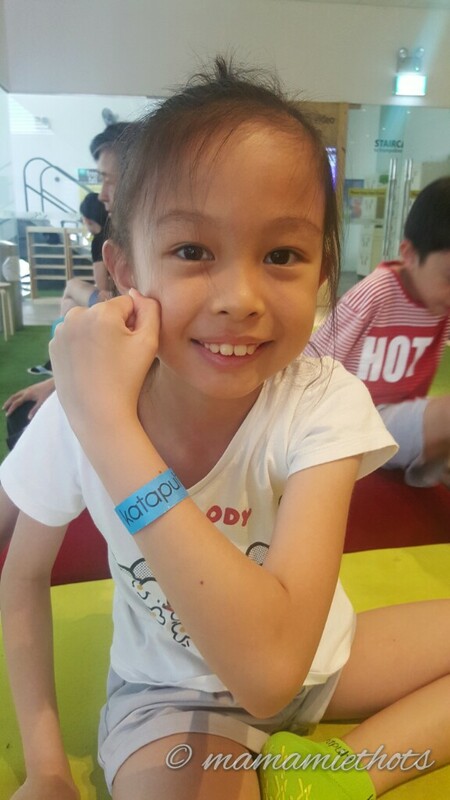 Anyway, we managed to squeeze in one hour of fun before their Sunday enrichment classes started. 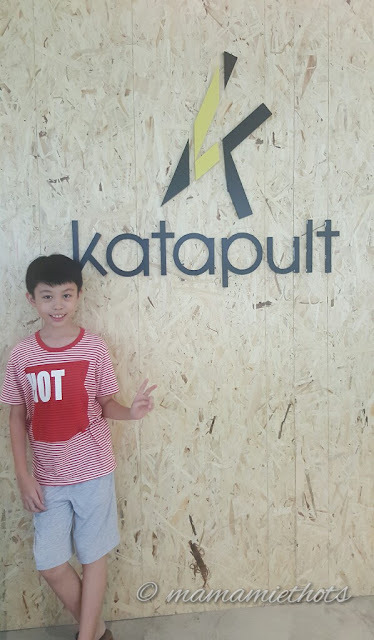 Their beloved papa decided to surprise them by bringing them to this place. It was their first time to try out this new sport and they were so excited. I think most of the time, they were not listening to me when I kept telling them about the safety issues, lol! Weekend pricing cost more as we paid $19 per pax for 1 hour time slot. Remember to bring your socks otherwise you have to fork out $3 extra for each pair. 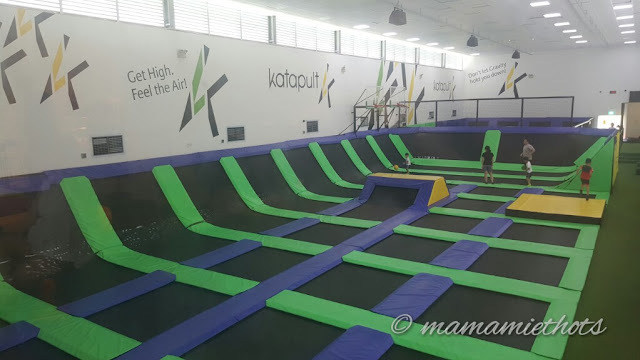 For parents who just want to accompany their kids have to pay $3 extra for each person too. There is a limit on the number of people for each session and a few Marshall will be around on the ground to assist you. I guess one of the things that put me off was those Marshall. I felt they were a bit redundant there because they were sitting down, busy chatting and laughing with each other instead of taking care of people who were playing on the trampoline. One of my kids was stuck in one of the air bags and was unable to climb out while doing the jump. No one came to his rescue until my hb noticed him and went to his rescue. Remember to bring along your own bottles of water so that you can quench your thirst after all the exercising. The place is not air-conditioned and the wind from those fans are not very strong. 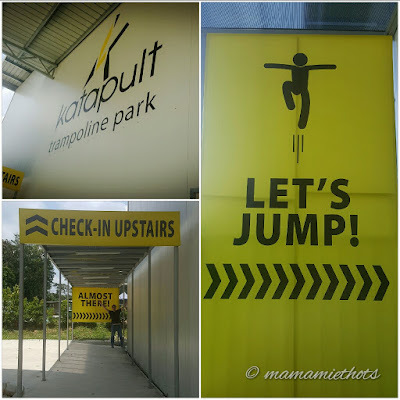 Compared to indoor playgrounds, this is another kind of fun for people who love to "exercise" by jumping. 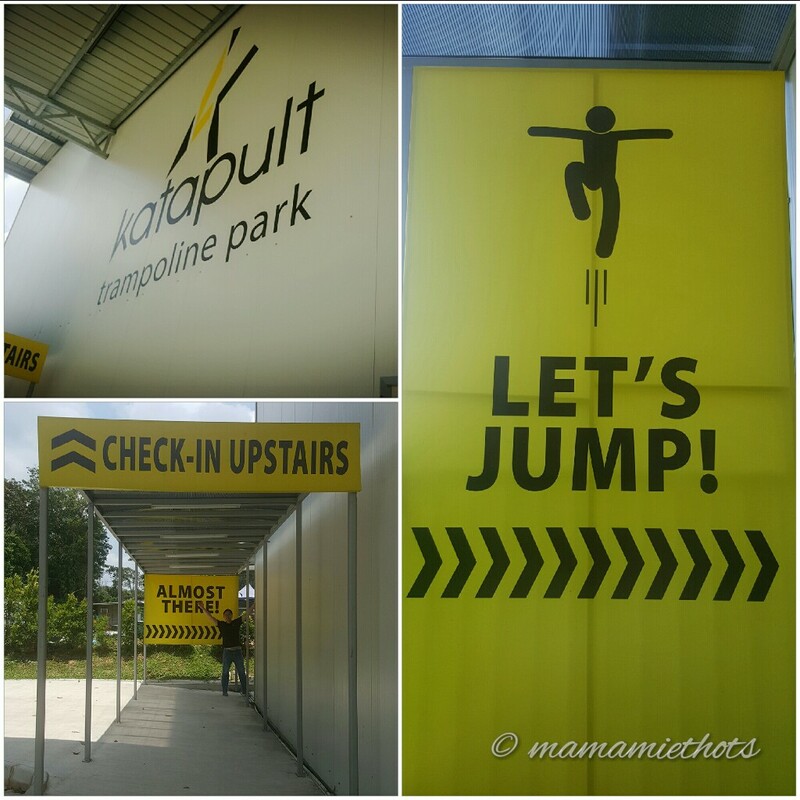 For more daring and experienced people, they are able to do higher jumps and flips in mid-air. Of course, we have to practise with care and so as to prevent any injury from happening.